Most gardeners are a little apprehensive when pruning the plants they have invested so much love and care into. But most varieties of hydrangea--especially H. arborescens and H. paniculata, which bloom on new wood each year--respond well to pruning. In most cases, the newer a hydrangea's wood, the more prolifically it will bloom. But before you cut back your hydrangea, make sure you know which variety you are dealing with. Hydrangea that blooms on new wood can be cut back annually. But if your hydrangea blooms on 2-year-old wood, you may sacrifice some of next year's blossoms if you cut it back to the ground. 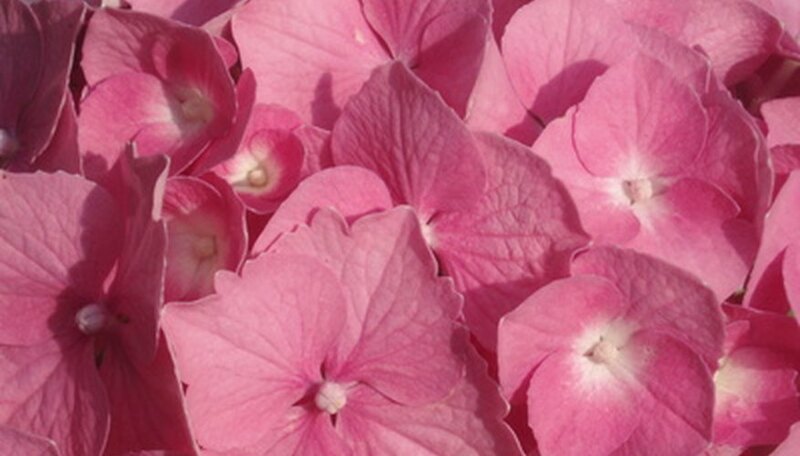 Sterilize your shears before you prune your hydrangeas to prevent the spread of disease. Cut back 1/3 of the main branches to the ground on older hydrangeas (like H. macrophylla) that grow on 2-year old wood. Use your pruning shears to cut old, under-producing stems back to within 2 inches of the ground immediately after the bush has finished flowering. Repeat this process each year until the entire bush is rejuvenated. You will sacrifice some blooms, but at the end of three years you will have a fuller, more prolifically flowering bush. Cut back hydrangeas that flower on new wood back to within 3 inches of the ground every year with lopping shears. These hydrangeas can be cut back immediately after they flower or in fall to avoid the unattractive dying winter foliage. Cut back hydrangeas with weak stems (a common problem with the Annabelle variety of Hydrangea arborescens) only to within 1 1/2 to 2 feet from the ground. If your hydrangeas fall to the ground after a heavy rain, cutting the plant back lightly will encourage the stems to thicken. However, this method only works if your climate is warm enough for your hydrangea to survive the winter. Make sure your pruning shears are sharp before you begin. Dull shears damage plant tissue and leave it susceptible to disease.